Is there something you like doing but can’t explain why you keep doing it? It is very likely you have a list for that. However, if you love coffee, you probably have more than enough reasons why you drink it often. It could be the boost of energy coffee brings or because it’s a great follow-up after meals, its contribution in easing digestion, stress relieving or simply because of its addictive taste. There is no doubt that coffee is a versatile drink that gets better with each new creation. To many people, the beverage creates unforgettable tastes, aromas, and experiences. Today, coffee lovers have turned the beverage into desserts by adding flavors in desperation to try out something new. 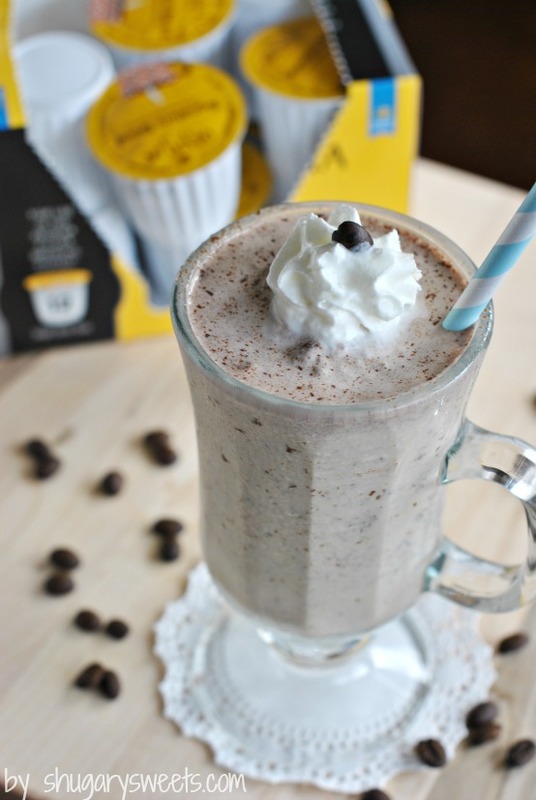 The resultant is a tasty, fun and refreshing coffee milkshake that is hard to resist. With the National Coffee Milkshake a few weeks away, it is of essence you learn how to spice up your coffee and make it even better. There are hundreds of ideas and milkshake recipes to inspire you ahead of this day. However, here we look at five of the best milkshakes that will have you yearning for more. A high number of the world population love vanilla recipes. Be it vanilla ice cream, yogurt, milkshakes and everything else with vanilla as an ingredient. 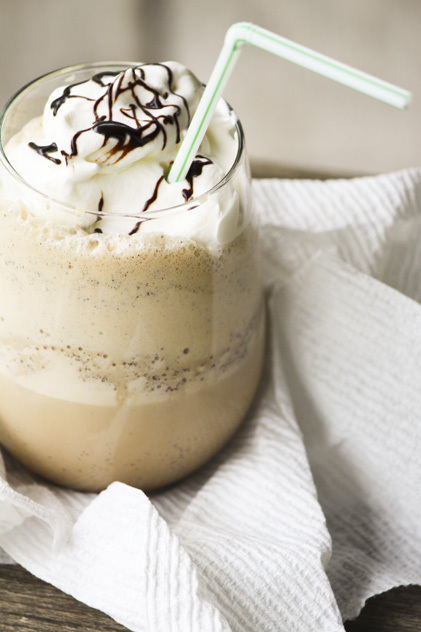 Vanilla coffee milkshake is an old beverage that keeps making a comeback. Typically, vanilla ice cream and vanilla extract are added to bring out its flavor and great taste. But who said you couldn't give it a twist and make it even more special? All you need is your cup of coffee, vanilla ice cream, some sugar, ice cubes, vanilla extract, whipped cream and crushed Oreos. If you like, vanilla extract can be substituted with chocolate syrup if you like your coffee more chocolaty. Blend the coffee, ice cream, extract and ice cubes together until well combined. You are now ready to serve your milkshake. However, if you wish to give it an excellent look, top it with the whipped cream and crushed Oreos that you can get from Vons and use our coupon for Vons. Try this yummy milkshake and believe it or not, it will be your new breakfast beverage. Who said you cannot enjoy a cold and refreshing coffee prepared from your kitchen? Once you make this milkshake, it will be no surprise that your kitchen will turn to be the cafeteria for the family. However, unlike other recipes, this beverage needs a unique twist. You need to prepare coffee ice cubes- don’t worry about the term, it is easy to make. You only have to pour some cooled coffee into an ice cube tray and freeze. The trick is to make the coffee strong since the outcome will be better this way. Once your ice cubes are ready, get some skim milk, vanilla ice cream, caramel sauce and chocolate syrup and then blend them until smooth. After this, you can serve in your favorite glass that you can get from eBay by using our coupon and then top up with whipped cream for a more appealing look. If you love to make it even better, you can add more caramel to the shake. Whether you love homemade beverages or a well-made milkshake at the local coffee shop, Chunky Monkey Milkshake never disappoints. Although the name sounds unconventional, the drink is much easier to make than you may imagine. If you wish to give it a try, get to the kitchen and grab a vanilla ice cream, chocolate chips, a banana and instant coffee. Just like other milkshake recipes, blend the ingredients together and be ready to enjoy it. If you love whipping cream, you can use it for topping and sprinkles for garnishing. After this drink, your local coffee shop may lose a customer since you will prefer making it at home. Nutella is a favorite for many. Although most people use it as a spread, it can work wonders to spice up your beverages and especially coffee. All you need to assemble are ice cubes, low-fat milk, sugar, Nutella, coffee granules and vanilla extract. The shake is very easy to make and preparation time is at most 10 minutes and soon the delicious final product will be ready. So, get a blender and give all these ingredients a good spin until you have a smooth consistency. A trick in serving is to do it in tall glasses as the presentation looks appealing. However, if you prefer other smaller sizes it is all well and good. Some people like adding whipping cream and caramel as a topping. Either way, you can be assured of a tasty, creamy and rich, bold coffee. Coffee lovers go to every extent just to come up with delectable highly flavored beverages. Who would have thought peanut butter and a banana would merge to grab the caffeine flavor from coffee? So, spare your peanut butter as a spread and allow it to try out a different recipe. 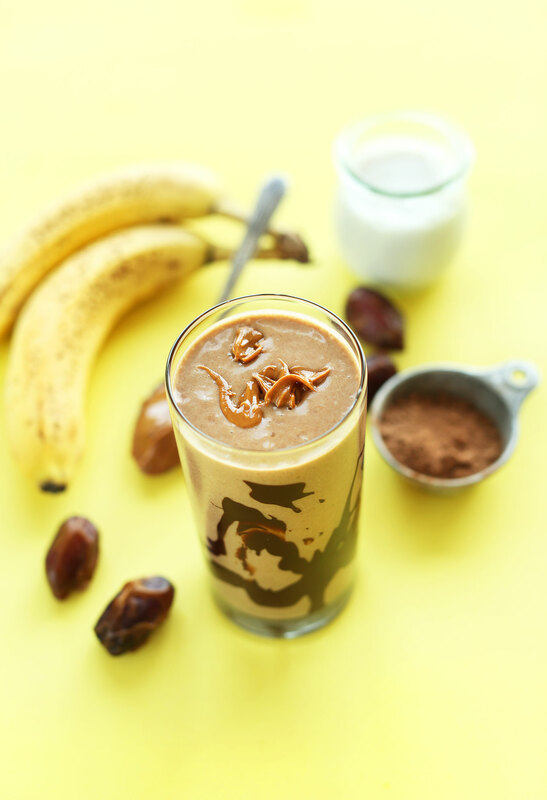 To prepare this drink, you need to gather your ingredients that include frozen banana, vanilla ice cream, peanut butter and already cooled brewed coffee. After that, add all of them to a blender and spin until you achieve a good consistency. 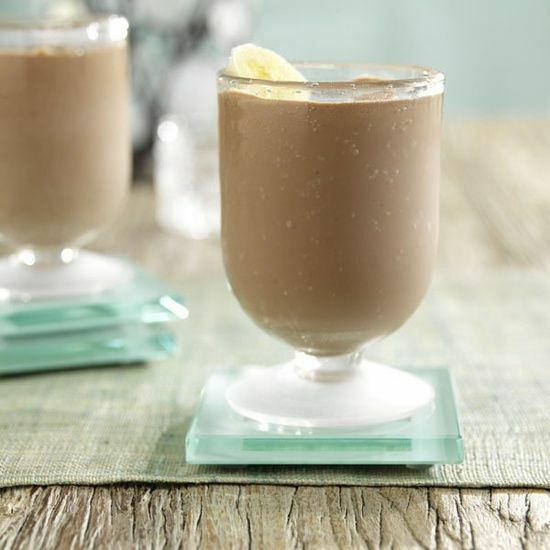 As easy as it appears, you are now ready to enjoy a glass of cold coffee milkshake. If you wish to give the shake a twist, top it up with whipped cream and some sprinkles. Nothing makes a summer afternoon more pleasant than a glass of cool refreshing beverage. Even better, nothing will chase your blues faster than a caffeinated drink. But if you wish to make all these moments count, then a delectable coffee milkshake wins. 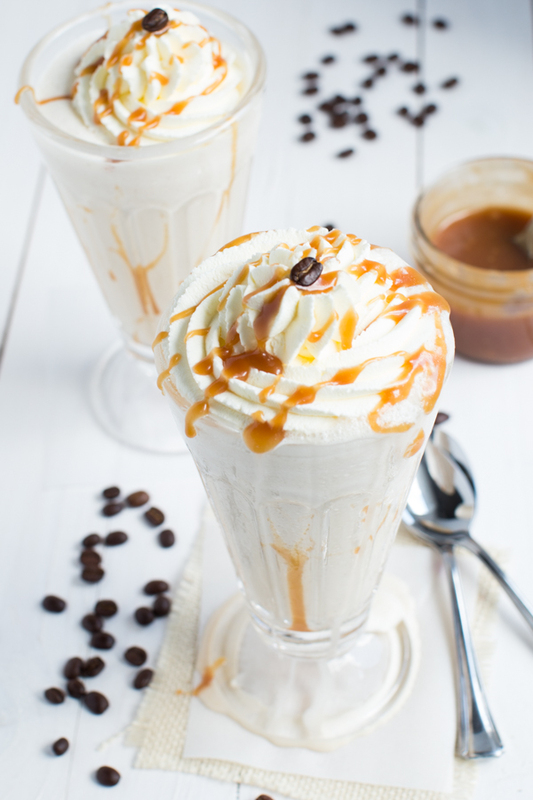 As National Coffee Milkshake Day beckons getting equipped with a variety of coffee milkshake recipes is no doubt a noble step. The best news is that the above recipes are easy to prepare and require readily available ingredients. So, get trying them and don’t forget to invite your family and friends to share the palatable drink with them because milkshake party would never go wrong.